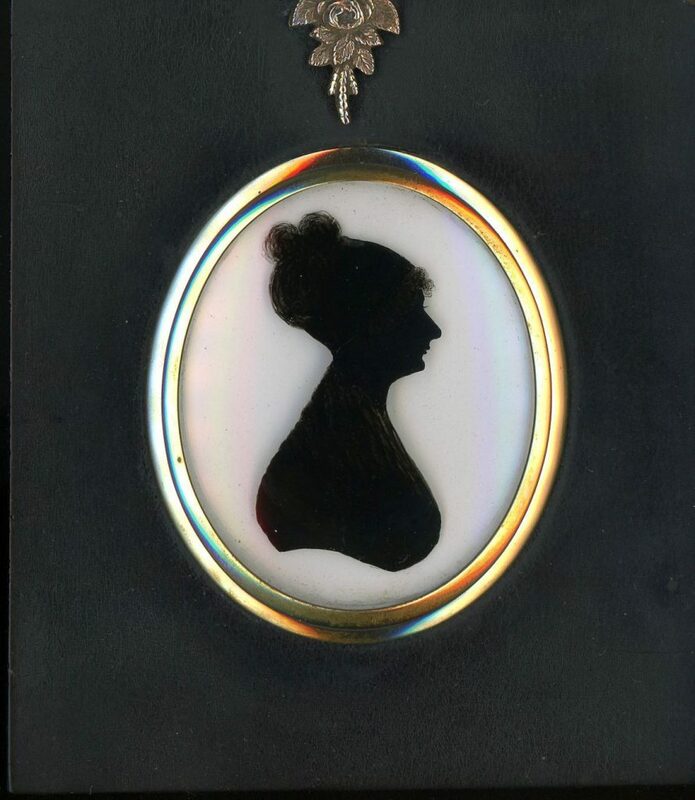 A well-provenanced silhouette of a young lady with her hair upswept in a knot with curls over her forehead. The profile is reverse painted on convex glass and backed with plaster. It is housed in the original papier-mâché frame with a rose and leaf hanger and is backed with the artist’s trade label no. 2 with the address No. 17 Union-Passage, Bath. 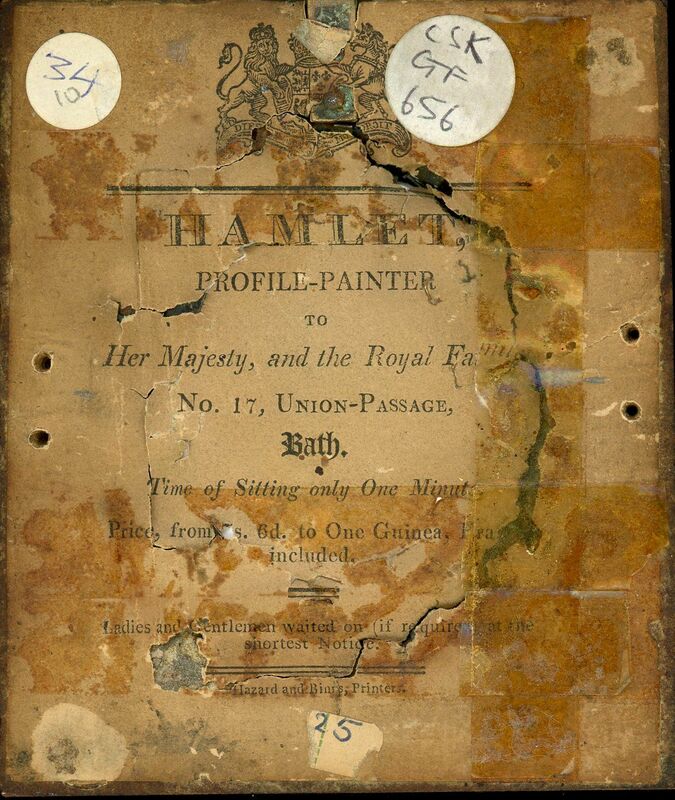 William Hamlet the Elder is believed to have been a French émigré who settled to work in Bath between about 1785 and 1816. He counted royalty amongst his clientele. 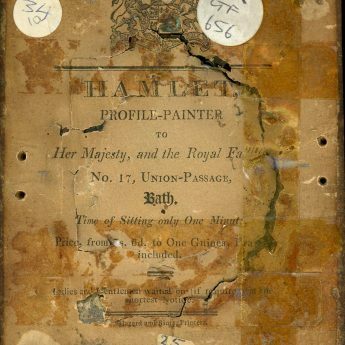 The recent discovery of a newspaper article reporting the arrest of Mr George Hamlet in New York in 1829 reveals that “the father of the individual … is Mr. William HAMLET, of London, a man of colour, who is profile painter to his Britannic Majesty and the Royal family, and his mother, is a white subject of the same government: so that if the “righteous judges” of Norfolk, are desirous of seeing the body of George HAMLET sold to the highest bidder in the market place of the aforesaid republican city they will find themselves most sadly mistaken’.